An articulate and favourite blog site of mine belongs to Manchester, England’s James Hughes, on Twitter as @toomanyblogs and I follow him. James chiefly reviews gigs and artists, and is a student pursuing music in academia. 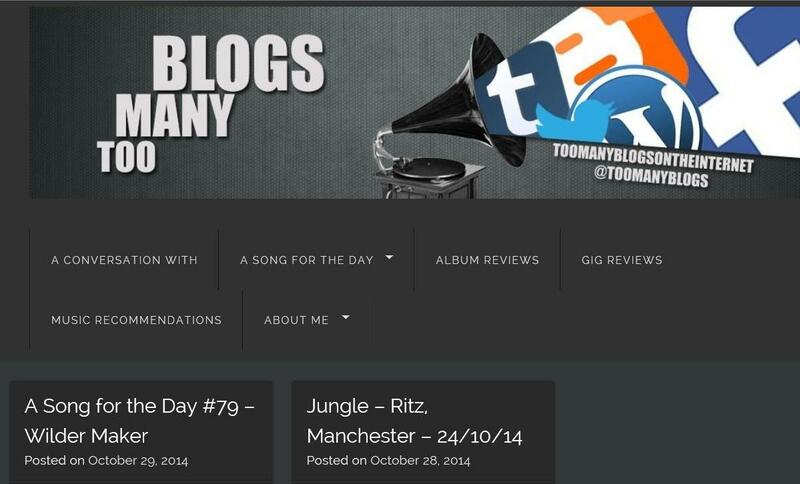 With @toomanyblogs Manchester, England’s James Hughes takes photos and writes posts which are quite interesting. I had an opportunity to interview him by e-mail Wednesday and Thursday. My interest in @toomanyblogs arises from a passing interest in Manchester, England’s James Hughes’ topic of discussion. James clearly takes more than just a passing interest. 1. Who designs your site’s layout? As much as I’d love for the site to be fine tuned to my liking, it’s actually just a wordpress theme. There’s a lot that I’d like to change about it but for now, it’ll do. 2. Did you know starting your blog that you would thrive? How has your reception been? I started the blog as a means of trying to get a foot into the door of the music world. I wasn’t enjoying my career in retail and wanted to try and follow my passion. It was something I was going to try for a year and see what became of it. Reception wise, I mean, I don’t get much feedback what so ever. I’m happy that I’ve managed to avoid any kind of negative feedback but I appreciate any kind of feedback, however it comes. I strive to become better and write in a way that people want to read. I don’t enjoy a lot of music journalism because I feel it focuses too much on trying to sound like an English Literature essay, rather than actually tell me about the band/show/record. Views and visitors are continuously growing though but with no others to compare them to, I’m not sure if it’s in a good place or not. 3. 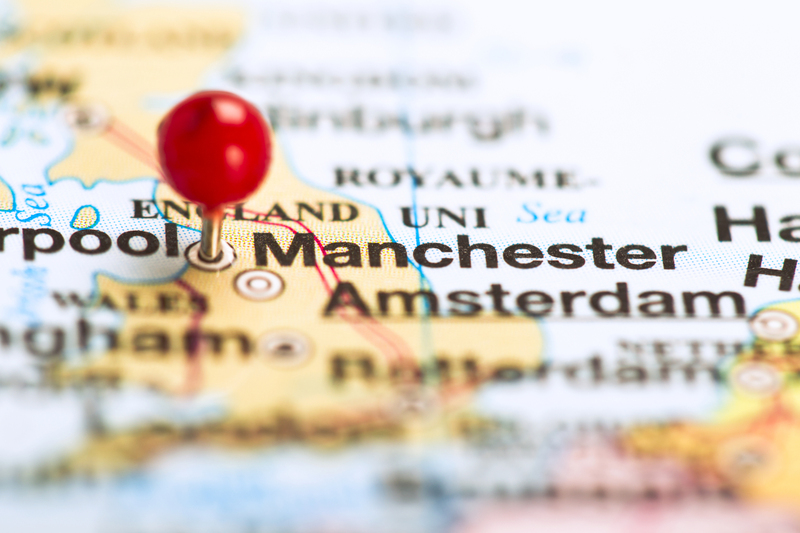 Would you say you’re showcasing UK artists, or artists from your specific region, or are you more simply trusting in the strength of your personal tastes? Region doesn’t come into the question for me. If I like it, I’ll write about it, go and see it and listen to it. If they’re from the UK or from Manchester, well then that’s just a bonus. 4. Are you pleased with the response you get from artists at gigs? Do you mean from if I manage to get to speak to them at a show? I’ve only spoken to three artists so far (in an interview sense) and all three were lovely. Getting time with these people is hard work though, especially as nobody within the online world. Artists that I get to speak to for a couple of moments generally seem interested when I mention I run a blog, but I cant exactly be asking them questions off the bat in that situation. The smaller bands are always really nice. The Barr Brothers come to mind as Brad Barr (the vocalist) agreed right there and then to sit down with me when they’re back in January. I liked that. 5. Is there a specific reason you gave up informing in your site’s “Forgotten Hits” page? Forgotten Hits was ditched because it wasn’t really getting many views from people. I did begin the feature right at the start of the blogs life though and that is possibly why. I won’t remove it just yet because people do sometimes still click through and I’m not sure if I’ll ever bring it back. 6. What do you think the rest of the year holds for @toomanyblogs? The rest of the year is actually going to be a little quiet I guess, we only have two months left and other than a few gigs I don’t have much else planned. I’m actually in university now, studying Music Business, so that will be taking up more and more of my time. Just keep on doing what I’m doing for now I guess. There won’t be any drastic changes just yet.